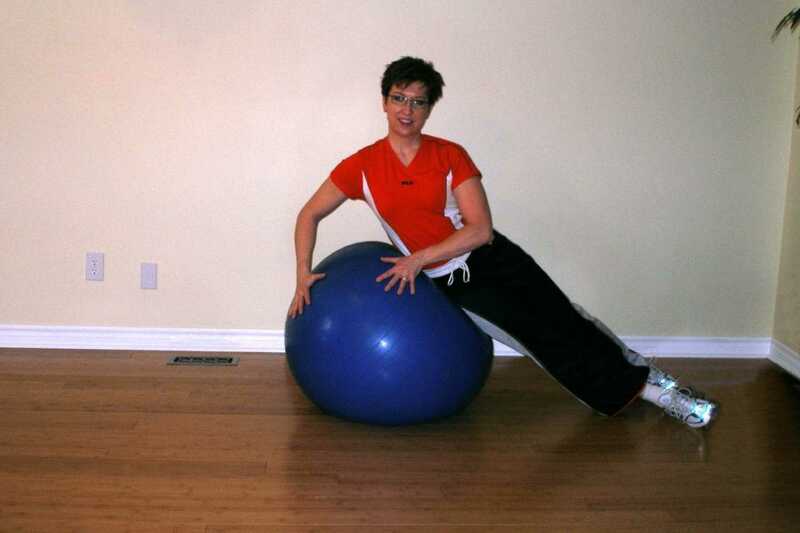 Start this ball exercise by kneeling next to the exercise ball. Lean over the side of the ball so that your waist is over the ball. Place your hands on the ball for support and balance. Keep your hips perpendicular to the floor, don't let your pelvis rotate. Prop your feet against a wall if you need to. Crunch sideways using the muscles on the side of your trunk and abdominal obliques. Pull your ribs on the side toward your pelvis. If you can't rise up very high at first, just start with small movements. As you get stronger you will get up higher. Resist the temptation to push up with your hands, but use them to guide you into the correct direction of movement. Try crossing your arms, putting your hands behind your head, or stretching your arms overhead. Try a more Advanced Side Crunch. Adding air to your stability ball will make your ball less stable. This is a good beginner abdominal exercise. 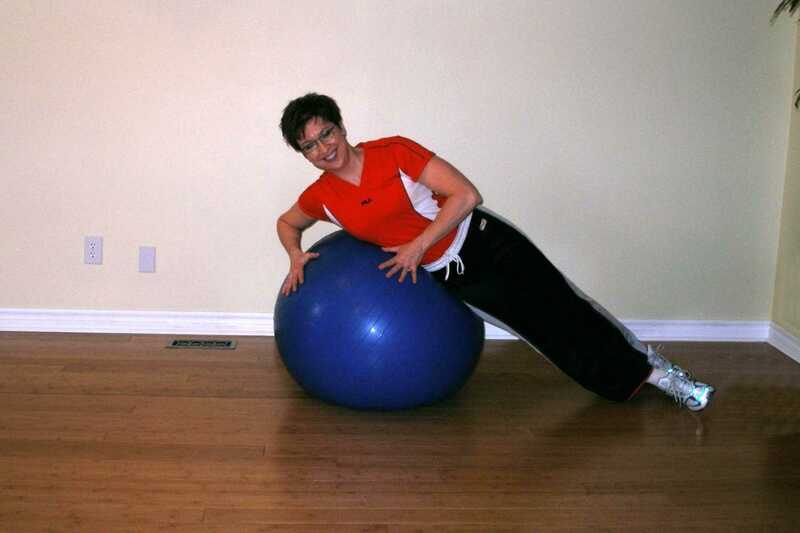 If you've mastered side crunches on the floor, and the other floor exercises, you can up the intensity of your workout by adding an unstable surface and increasing your range of movement by using an exercise ball. Try to use your hands in this beginner exercise to simply guide your movement sideways.